For the Unison HomeOwner program, Unison will deduct a 3.9% transaction fee from your cash proceeds at closing. This is the only fee Unison charges and it covers all costs, including processing and underwriting as well as all third-party costs such as credit reports, appraisals, home inspections, recording, and settlement services. How does Unison document my property? After closing your deal with Unison, we will send out a small team to capture aerial photos of your property. We take this measure to complete the documentation of your property along with the inspection and appraisal information we collect before closing. You are more than welcome to meet the FAA-licensed pilot on site, though your presence is not required. All of this info will live inside your personalized online portal you can log into anytime. An added benefit: these photos provide higher-quality exterior documentation and superior local context than is available from your inspection. This could be of particular use in the event of a natural disaster or other significant impact to your home. 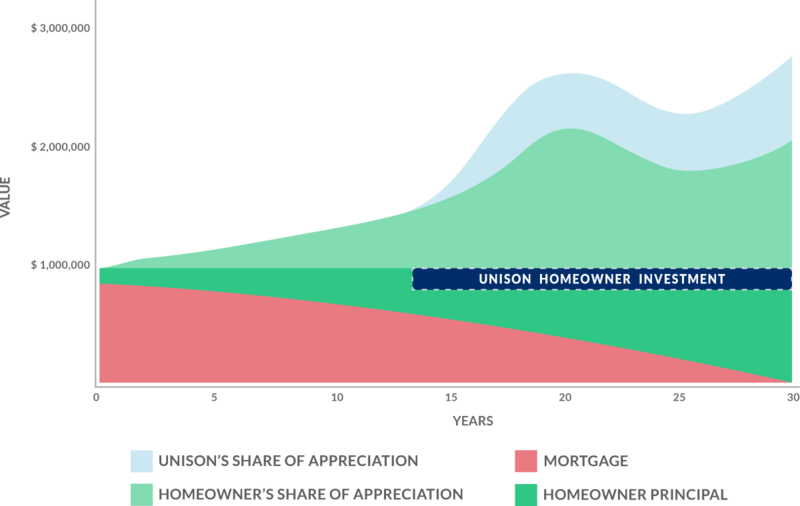 With the Unison HomeOwner program, we can provide you funds in as little as 15 days, depending on the time needed to get an appraisal.